Why sell with Katrina Wright? Why fit in, when you can stand out? 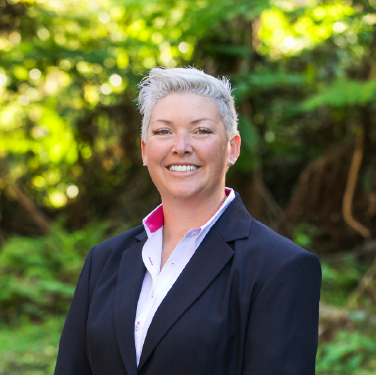 Katrina Wright has been one of the Sutherland Shire’s leading Real Estate Agents for many years, achieving top results for property owners and honing her experience as part of one of Australia’s leading Real Estate groups. In January 2018 she made the move to start her own agency, Katrina Wright – Property Excellence – where our objective is to secure you the best price possible by making your property stand out. We understand that selling your largest asset can be a daunting process but we will make the entire process as stress free (and fun) as possible for you with regular honest and open communication in everyday language, engaging marketing and added services such as affordable property styling. Our team is enthusiastic, energetic and passionate about helping you through the sales process. We want to build our business on raving fans so YOU, YOUR property and YOUR satisfaction are ALWAYS our number one priority. At Katrina Wright, our lead agents complete the call backs to ALL the buyers who have expressed interested in your property rather than relying on junior agents to do this on our behalf. This ensures your chosen agent has an in-depth knowledge of exactly who your prospective buyers are and where each of them are at with your property so they can best negotiate your sale. At the end of your sale, we want you to walk away knowing you have achieved the best price possible to make your next move. This is not only through achieving an outstanding sale price but also ensuring your investment is at the right level. Whether it be with your sales strategy, our range of marketing packages, affordable styling options or suggestions on updates to your property that need to be made, we will only recommend you spend if we truly believe it will be of benefit to you in the end result. Just like when selling your property, if you put in the WRIGHT agent, the WRIGHT strategy, the WRIGHT timing, the WRIGHT marketing and WRIGHT presentation in, the brighter your property becomes and the better the price you are able to achieve. You only get one opportunity to sell your property so do it WRIGHT the first time.